You’ve probably read about the importance of maintaining a home inventory. Maybe your home insurance company or your parents mentioned it, or you read something about it online. But the truth is most homeowners and renters don’t have one. Do you? Having a home inventory is an important record that will complement your home insurance coverage. You never know when you could experience a loss or need to file an insurance claim. Here we answer common questions about home inventory lists and outline tips and advice to help you build a thorough and trackable home inventory record. A home inventory is a list of the personal belongings in your home. Lists typically include the item, value, and a brief description. 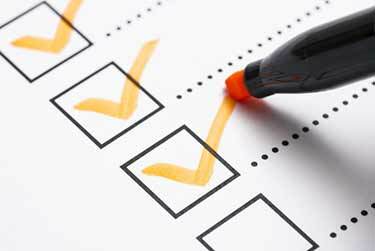 It’s recommended homeowners and renters maintain a home inventory checklist. Household inventory can help you choose the right amount of home insurance and simplify the insurance claims process. You know what you have : Maintaining a home inventory list ensures you have a strong grasp of the items in your home and their value. It helps you choose coverage limits : Inventory lists help you determine how much and the types of home insurance coverage you require. For example, if you have an art collection or high-priced jewelry, you may want to take out additional coverage on these items. Proof : A home inventory list helps you prove that you actually own the items included in your claim. Preparation in case of loss : You never know when a loss could occur. A break-in, fire, or loss due to severe weather could happen at a moment’s notice. For example, let’s say someone broke into your home and stole a variety of items. Amid the stress of a .home theft, it can be difficult to determine everything that is missing. A home inventory list can help you identify these items and ensure they are included in your claim. The main reason to have a home inventory is for insurance purposes, particularly when filing a claim. Insurance companies will ask you for an inventory list of items damaged, lost, or stolen as part of the claims process. Having an inventory list handy will expedite the claims process and save you valuable time. I Rent. Do I Still Need A Home Inventory? Yes. Along with tenant insurance, it’s important to have a home inventory of your personal items. Whether you rent a room, apartment, condo, or are living in student housing, having an itemized list of your belongings will help you prove you owned items when filing an insurance claim if you experience a loss. Keep a detailed personal property inventory regardless of your location and living status. A hard copy of home inventory : The most traditional option. Many homeowners keep a log book or binder with a complete list of personal items. Digital home inventory file : Keeping track of home inventory in an Excel file or Word document is a simple way to maintain a digital record. Home inventory photos : A home inventory photo collection is an effective visual way to track items and prove you own them. Home inventory video : This is an increasingly popular option. 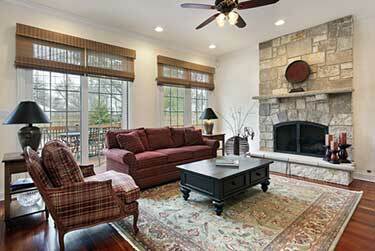 Many homeowners are now doing video walkthroughs of their home and outlining the items they own. The option you choose is up to you, however, it may be best to include a combination of all the above to create a thorough home inventory for insurance and personal purposes. Take photos or video : Photos and video take your personal inventory list to the next level. They show proof your items are in your home. Break down the list by room : Starting a home inventory list from scratch can be a daunting task. Simplify the process by breaking down the list into rooms. Keep detailed records : The more detailed, the better. Include as much information as possible, especially for high ticket items. Include dates : If possible, include the date of purchase in your records. Don’t forget about the small stuff : The small things add up. Don’t forget to include things like clothing, accessories, shoes, grooming kits. Every dollar counts. Include receipts for high ticket items : Try to keep receipts for all high ticket items. Keep the paper copy and scan it, so you have a digital record of the receipt. Don’t forget the garage and outdoor property : Many homeowners forget to include personal items in the garage, shed, and in the backyard. Make sure to include these in your inventory checklist. Create backup files: Always create a backup file for your home inventory. You can photocopy a paper list, make a digital file, and store the list on a stick drive or in the cloud on Google Drive or Dropbox. What Should I Included In My Home Inventory Worksheet? Today, you can use your smartphone or tablet to track your home inventory. Apps allow you to take photos, add information about items, and sort your home inventory by room. Many of these apps also sync data online so it’s backed up. Online templates and home inventory Excel files are commonly used today. The Insurance Bureau of Canada has a useful personal property inventory pamphlet you can follow. Download it here. Home inventory software is also an option. Most come with a free trial or money back guarantee. They allow you a little more functionality. You can create reports and view home inventory data in different ways. When Should I Update My Home Inventory List? When you buy something new : Any time you purchase a high ticket item, it’s a good idea to add it to your home inventory. This makes it less likely you will forget to add it. When doing a home renovation : Making changes to your home will surely impact your home inventory worksheet. 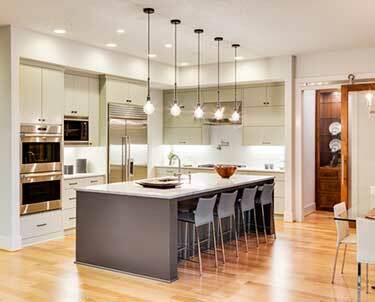 Update the list upon completion of your home renovation. Moving : If you are planning to move, use it as an opportunity to create or update your list as you pack. Annually : Review your home inventory annually, ideally when you renew your home insurance policy. With your home inventory fresh in your mind, it will help you choose the right amount of coverage. Where Should I Keep My Home Inventory? It’s important to store your home inventory records in a safe place, ideally outside of your home. Why? If you were to have a fire or flood, your inventory records could be lost. Keep your home inventory in a safety deposit box and have an online backup copy. Multiple copies in multiple locations is best. Can An Inventory List Help With Home Inventory Forms For Insurance? Yes, absolutely! 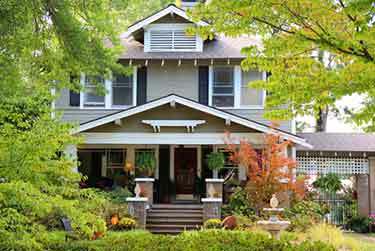 An up-to-date home inventory list will help you greatly when filing a home insurance claim. It will help you to quickly fill out home inventory forms for insurance and speed up the claims process. Losses happen, a reason why you need to track your home contents. Keep a home inventory record to ensure you are covered.